Reflection entails. honest, humble acceptance of successes & failures, strengths & weaknesses. Hansei, as the Japanese call it. Reflection is the countermeasure to hubris, overweening pride & arrogance, that destroyer of people and organization. Reflection is central to all great religions, in the form of prayer, meditation, and rumination. In some traditions the acolyte leaves civilization and seeks reflection in solitude. In my experience, reflection requires both solitude, as well as, the camaraderie of one's team. Reflection, of course, reflects the Adjust phase of Plan-Do-Check-Adjust cycle. 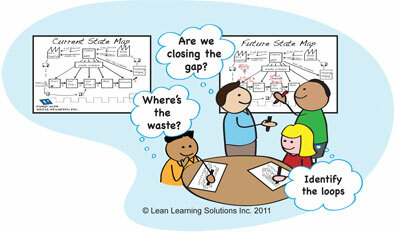 We close of the loop thereby, and lay the foundation for next year's PDCA loop. To close the loop, we need to observe each PDCA phase. Otherwise, we suffer the debilitating ailment I call Scatter - one group does the Plan, another Deploys the Plan, yet a third Checks the Plan. Result: lousy results and little learning. Scatter is at epidemic proportions, especially in large organizations. 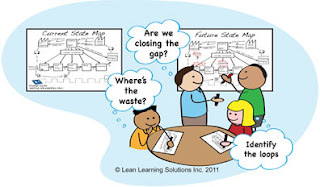 So important activities need a deployment leader, ‘key thinker’, ‘chief engineer’ or equivalent to ‘wrap their arms around the problem’, observe each PDCA phase, and thereby harvest & share the learning.